Italian Roasted Potatoes are the most asked for potato recipe in many Italian homes. These are served at just about every Italian wedding in Upstate N. Y. It's a must have on the buffets! Growing up everyone made these on the block! These were always on the menu on all the restaurants . Back in the 1960's everyone on our block that was Italian, made these potatoes. They were a staple in our home and really the most asked for with any meal mom made. Matter of fact they would not last long and the first thing that needed to be refilled at the buffet were there potatoes. These are requested at all our family dinners. One of the easiest recipes I have ever posted and they never disappoint the family gatherings! This Italian roasted potatoes goes with any meal. Mom made these for every meat she put on the table. They are easy and delicious. One of the best side dishes ever. 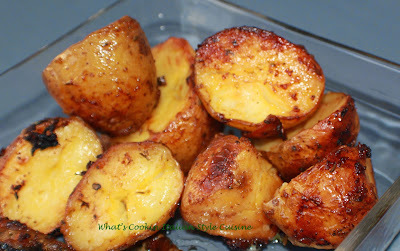 You can never go wrong making a simple roasted potato for any meat you serve, they compliment any meal you make. 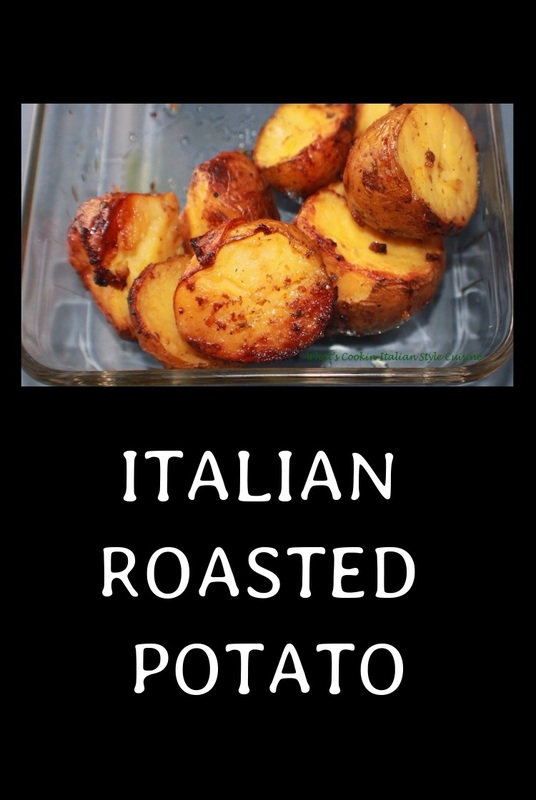 Best of all these easy Italian roasted potatoes cook up quick and crispy on the outside which I think is my favorite part! Cut up as many potatoes you need. Place in bowl drizzling with olive oil. Add salt, pepper to taste and around 1 teaspoon or more to taste of granulated garlic. Toss to coat evenly with olive oil. Sprinkle with cheese, herbs, spices and hot pepper if using. Bake at 420 degree hot oven until browned and crispy around 1 hour turning a few times. We like them dark and crunchy. Check for doneness with a fork goes through them easily when pierced. Skins should be crispy. I also broil them around 4 minutes turning to get them a little crunchier.